From the John Hardy Classic Chain collection, we present the silver magic cut citrine ring. 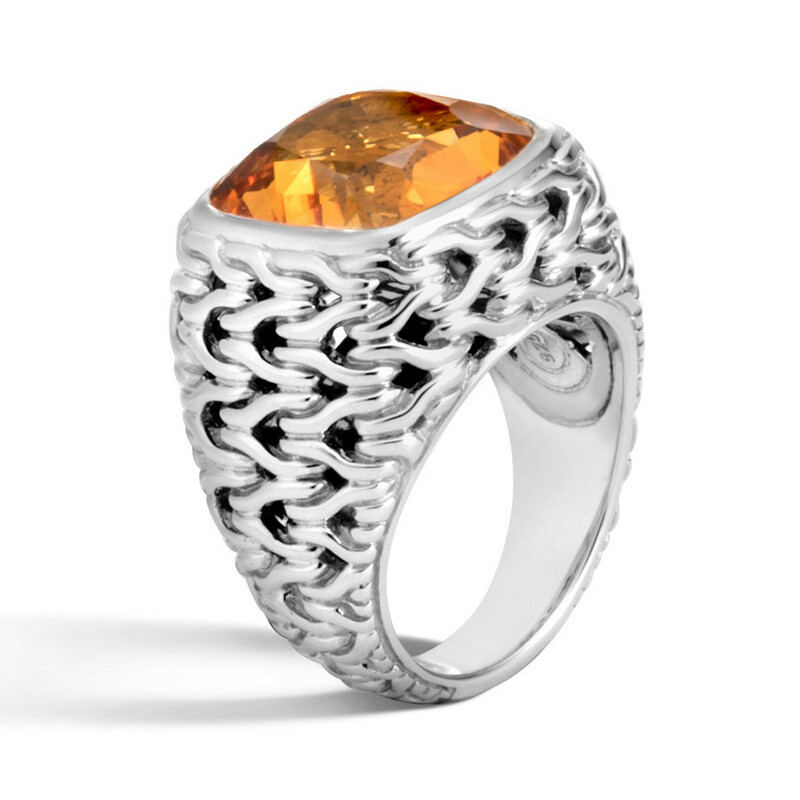 Enrobed in the signature sterling silver chain motif is the jaw-dropping citrine that is the centerpiece of this ring. The citrine gemstone, named after the French word for lemons, embodies the power and warmth of the sun and is presented here in a classic style that perfectly evokes the designer's love of natural beauty and meaningful connections.